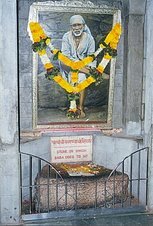 Few devotees of Shirdi Sai Baba, are coming up with a Gujarati book containing some good content. 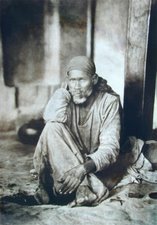 Content like Sai TatvaRatnavali (Essence of Sai Baba’s teachings given by Sai Baba himself) and translation of Bhaktleelamrut (A book containing Sai Baba’s teachings, which was written while Baba sported in physical form and also read as pothi in Dwarkamai) in simple form. The book was initially supposed to be distributed free to the devotees. Fearing that 2,000 books just given away for free, might reach many, who might be least interested in studying the book. Most books can end up lying somewhere without being read. So to ensure that the books do reach to people and devotees who are interested in reading them, it has been decided that a very low amount of about Rs.10 or Rs. 15 has to be collected. This money lower than the cost price can be saved for the printing of next editions of the book. 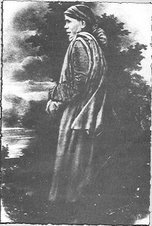 As a general rule few pages were to be dedicated to the advertisement of the donors for this book. However, all of the donors denied for the same. 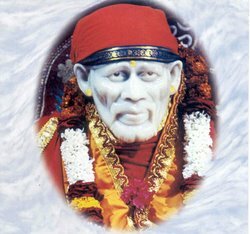 So, a plan came up, to dedicated a couple of pages to a list of really good books on Shirdi Sai Baba. 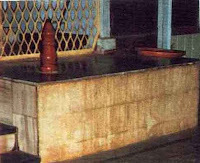 Below is the same list of hand picked list of good books on Shirdi Sai Baba. 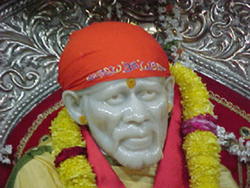 Contains Sai Baba aarti lyrics in English, Hindi and Marathi. 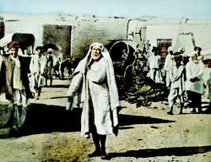 http://www.saileelas.org/books.htm along with many other good books dedicated to Shri Sai Baba of Shirdi for downloading. 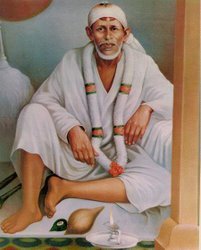 Devotees Experiences of Sai Baba by Narasimha Swamiji 4 volumes - Publisher - All India Sai Samaj Chennai (phone : 24640784) these books to are available for free download on the above link. 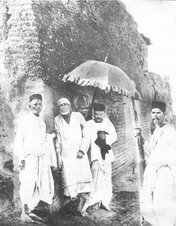 The immortal Fakir of Shirdi - Dr. S. P. Ruhela - Publisher: Diamond Pocket Books (P) Ltd.
* Live Experience of Tarkhad family with Sai Baba of Shirdi - By Virendra Jyotindra Tarkhad. i have colpleted englishbook in mirror image. Jai Sainath.Each & every Sree Saibaba's book must read.Baba surely always help us.